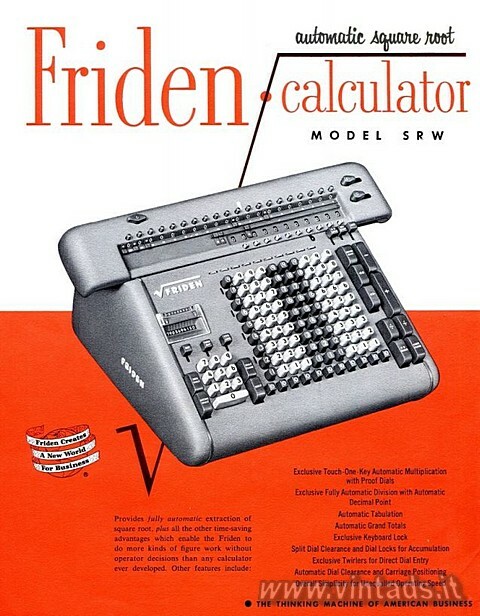 One of the most spectacular developments in the history of desk calculating machines is the Friden fully automatic SQUARE ROOT CALCULATOR. 1)	Set the number from which the root is to be taken on the keyboard (in this case, 390,625). 2)	Touch the square root key corresponding to the position of the decimal point in the radicand. 3)	The correst square root appears in the dials. All the basic features of Model STW have been retained in the Square Root Calculator. Thus the user has fully automatic extraction of square root, plus all the time-and labor-saving advantages of fully automatic Model STW. 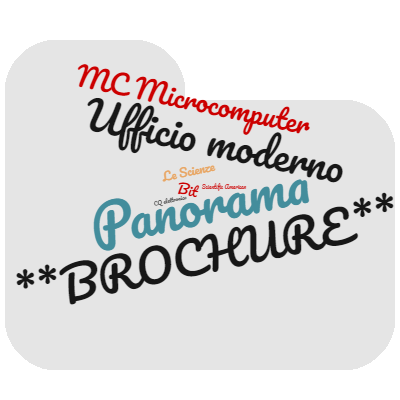 With Model SRW, a mathematical operation which up to this time has been tedious and time-consuming, even with the use of tables and the most automatic of modem calculators, has been reduced to the simplest of all procedures. The operator merely sets the number on the keyboard and touches the small key corresponding to the decimal point in the number. The square root appears in the dials almost instantaneously. If desired, the square root is retained in the machine for further calculation, eliminating the need for copying the root to the keyboard. In the simplification of square root extraction, Friden has substituted, to the furthest possible degree, automatic mechanical precision for human motions and decisions. The operation is reduced to the mere selection of the number whose square root is desired.